What do you love most in the world? Would you give up your career, your salary, and everything you know to make a difference? Eva Armstrong used to work on Wall Street doing everything she could to make more cash. But when she looked inside herself, she realized that she was miserable chasing money. Her true calling was to be with dogs. So she quit. Just left Wall Street behind. And she used the money she’d made to open Eva’s Play Pups, a dog camp in the Endless Mountains in Pennsylvania. It’s a place where dogs from kill shelters are rescued and rehabilitated, and dogs from the city get to come and stretch their legs. 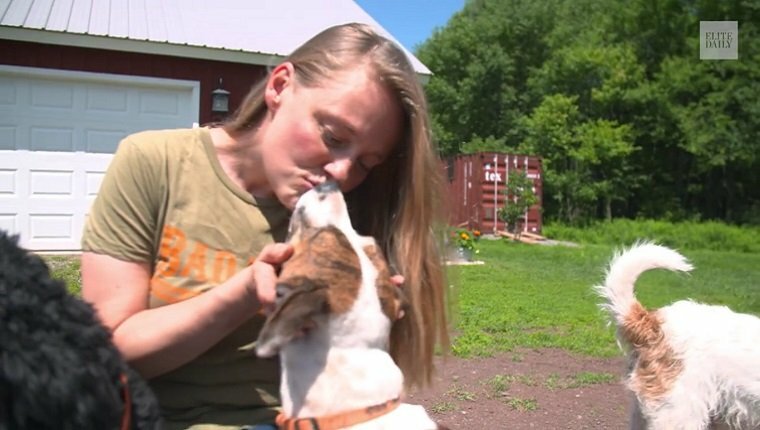 They get to live out their lives running, hiking, swimming, and just being dogs on the 52-acre farm. There are tons of trails through forests, a lake to cool off, and wide open fields to play fetch or lie down in the shade. Eva turned her workaholic attitude toward her passion. She’s much happier doing what she believes to be her purpose in life. 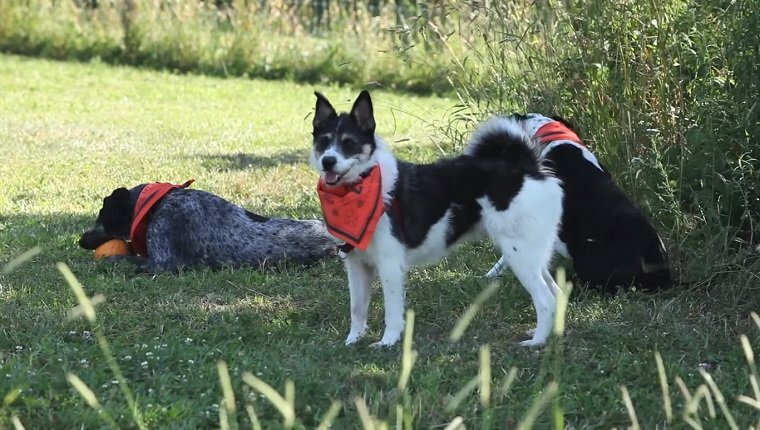 She’s created a doggy paradise where pups can relax and feel safe. I wish more people in this world would chase their dreams instead of money. We might see a lot more dogs being saved and people feeling fulfilled. Would you give up everything to follow your dreams? Would your dream be to start your own dog sanctuary? Let us know in the comments below!